A singer, composer and actor, Lyle Lovett has broadened the definition of American music in a career that spans 14 albums. Coupled with his gift for storytelling, the Texas-based musician fuses elements of country, swing, jazz, folk, gospel and blues in a convention-defying manner that breaks down barriers. Whether touring as a duo or with his Acoustic Group or his Large Band, Lovett’s live performances show not only the breadth of this Texas legend’s deep talents, but also the diversity of his influences, making him one of the most compelling and captivating musicians in popular music. 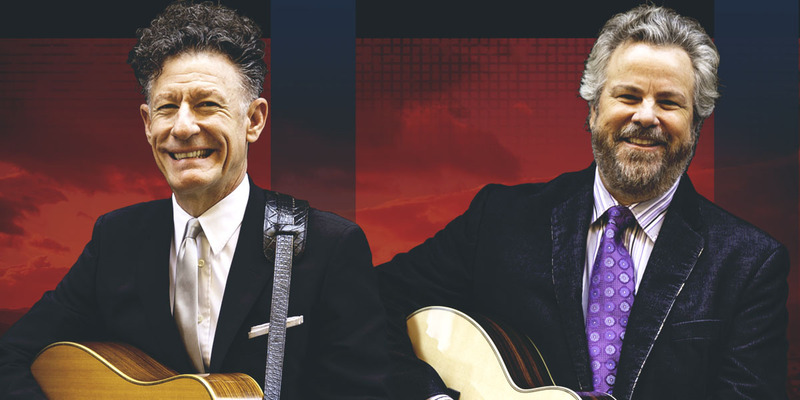 Since his self-titled debut in 1986, Lyle Lovett has evolved into one of music’s most vibrant and iconic performers. Among his many accolades, besides the four Grammy Awards, he was given the Americana Music Association’s inaugural Trailblazer Award and was named Texas State Musician His works, rich and eclectic, are some of the most beloved of any artist working today. Now three-decades on from the release of his debut album Robert Earl Keen has eighteen other records to his name, thousands of shows under his belt and still no end in sight to the road ahead. Keen remains as committed to and inspired by his muse as ever. From his humble beginnings on the Texas folk scene, he’s blazed a peer, critic, and fan-lauded trail that’s earned him living-legend (not to mention pioneer) status in the Americana music world. And though the Houston native has never worn his Texas heart on his sleeve, he’s long been regarded as one of the Lone Star State’s finest (not to mention top-drawing) true singer-songwriters. He was still a relative unknown in 1989 when his third studio album, West Textures, was released – especially on the triple bill he shared at the time touring with legends Townes Van Zandt and Guy Clark – but once fellow Texas icon Joe Ely recorded both “The Road Goes on Forever” and “Whenever Kindness Fails” on his 1993 album, Love and Danger, the secret was out on Keen’s credentials as a songwriter’s songwriter. By the end of the decade, Keen was a veritable household name in Texas, headlining a millennial New Year’s Eve celebration in Austin that drew an estimated 200,000 people. A dozen years later, he was inducted into the Texas Heritage Songwriters Hall of Fame along with the late, great Van Zandt and his longtime friend from Texas A & M, Lyle Lovett. Tickets are $122, $92, $67 or $52, depending on location. A $3 theatre facility fee will be added to each ticket. Please Note: There is an additional $3.50 per ticket web fee for Internet purchases; call 336-333-2605 to avoid those charges. Guests may also choose to have their tickets mailed to them for a $1 post fee, or can pick up their tickets in will call for no additional charge.